Whisk 2 teaspoons of dry mustard and remaining ingredients until smooth and combined. Try mustard sauce; leave as is, or add additional teaspoon for stronger taste. Cover and chill at least 30 minutes, or until ready to serve. 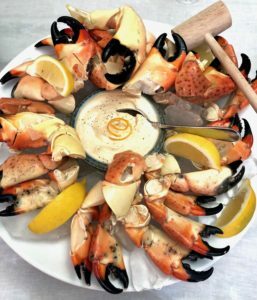 Serve with crab claws or other seafood.